Chances are that when you purchased a computer system it came with additional software programs installed on top of the operating system. They commonly include utilities, multimedia, Internet, security, and productivity software. Is the software that comes included with a new computer purchase as good as the computer makers claim? First, it was the industry giving out image CDs rather than physical CDs for all the software. Now the industry is not including any physical media at all with new systems. Part of this is because more and more systems are now not shipping without a CD or DVD drive. As a result, companies use a separate partition on the hard drive that holds the image along with an installer to rebuild the remaining portion of the hard drive back to the original setup. Users have the option of making their own restore CD/DVD but have to supply the blank media themselves and this is only if their system actually has the drives to make them. This has a huge effect on the consumers; restoring the system from an image means that the hard drive must be reformatted. Any data or other applications on the system must be backed up and then reinstalled after the image is restored. It prevents the reinstallation of a single application that came with the system if it is having problems. This is a huge inconvenience compared to getting the actual physical installation CDs. There is little consumers can do about this since manufacturers do not say how users can restore their systems. Finally, if the hard drive becomes damaged, it can completely prevent the system from being restored. There has been an explosion of applications that come preinstalled on computer systems. Typically this is the result of marketing deals between software companies and the manufacturers as a means of either getting a larger audience of users or getting funds because of the use of the software. One example is the WildTangent gaming application that is generally marketed as a Games system from the manufacturer. All of this has its problems, though. For example, look at the desktop and the taskbar after a new computer has booted for the first time. The typical Windows installation has between four and six icons that reside on the desktop. Compare this to a new computer system that can have as many as twenty icons on the desktop. This clutter can really detract the user from a good experience. Similarly, the system tray on the left hand of the taskbar next to the clock will have around three to six icons in a standard installation. New computers can have as many as 10 or more icons in this tray. Budget systems can experience major slowdowns as well with the new Windows 10 Start Menu. One of the new features is Live Tiles. These are dynamic icons that are animated and can pull up information. These Live Tiles take up additional resources in terms of memory, processor time and even network traffic. Most budget systems have limited resources and a large number of these can really impact performance. This kind of software is commonly referred to as bloatware. The most frustrating part about this is that 80% of the applications that come preinstalled on new computers can be downloaded and installed by the users for free. We generally recommend that new users go through their system and uninstall all preinstalled applications that they do not use. This can save a lot of system memory, hard drive space and even boost performance. Trialware is one of the latest preinstalled software trends with new computers. Typically it is a full version of a software application that is installed on the computer system. When the user first launches the application, they get a temporary license key to use the software from anywhere from thirty to ninety days. At the end of the trial period, the software program then disables itself until the user purchases a full license key from the software company. Usually, this is the full application, but sometimes it might be only parts of the program that can be used indefinitely with advanced features that can only be unlocked with purchase. 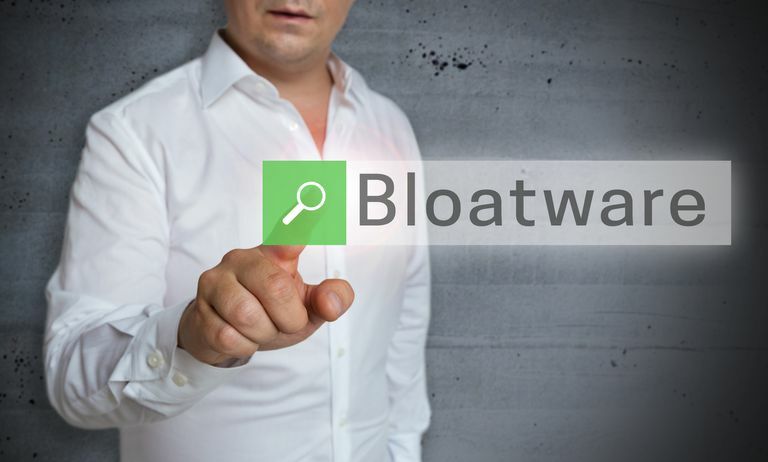 In many ways, trialware is both good and bad, as it allows the user to see if they would like or need the application before they want to purchase it. This can give the user a good insight into whether the application is functional or not. If they do not like it, they just remove it from the computer system. The big problem with this is how the manufacturers label this software. Often times, the trial software is either listed without the notice to the buyer that it has a limited license or the conditions of use are printed in small text as a footnote making the user think that they are getting the full software when they purchase the PC. What Can a Buyer Do? There is little that can be done before purchasing a system. Almost no companies are offering the application installation media, so it is best to assume that it does not come with it. Also, look at the full specifications of the software applications to determine whether the program is a full version or trialware. This is the limit of what can be done before the purchase. Another option might be to go with a system integrator instead of a computer manufacturer as they tend to provide the application CDs. The drawback to this is the limited amount of software and typically higher prices. After a computer system has been purchased, the best thing to do is clean house. Find all of the applications that are included in the computer and test them. If they are not applications that you think you will use, remove them from the system. If there are programs that you will use infrequently, try to disable any auto-loaders or system resident programs that can use up system memory. This will generally help to clear up the clutter on the computer system and can help improve system performance.